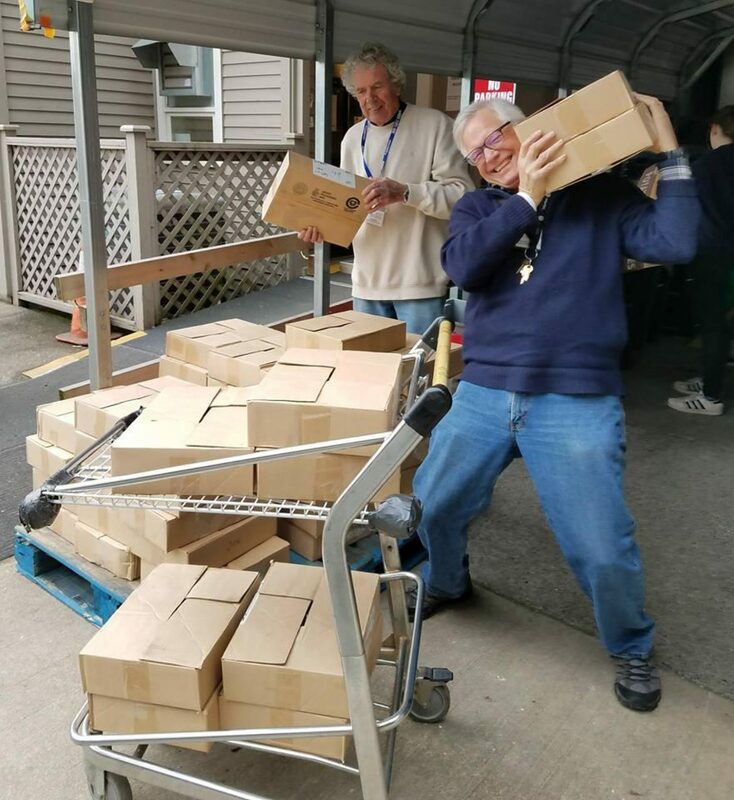 Thanks to the generosity of North Pacific Seafoods, we were able to spread some Valentine's love this week for the people served by Helpline House, in our hometown of Bainbridge Island, Washington. We delivered 3,000 cans of wild Alaska sockeye salmon to the food bank at Helpline today, with the help of Helpline volunteers Andrew and David. Thank you! Founded in 1968 as a food bank in response to the "war on poverty", Helpline House is a community-funded non-profit agency providing a full range of services. Basic services are provided cost-free to those in need. Needs are defined broadly, and are not always financial.Any community member in crisis or in need of social work consultation, volunteer opportunities or other related services is welcome at Helpline House.